Mom Among Chaos received free products in exchange for this review. All opinions are 100% my own. I'm kind of a skeptic as far as nail products go, but I always have hope that a product will work for me. 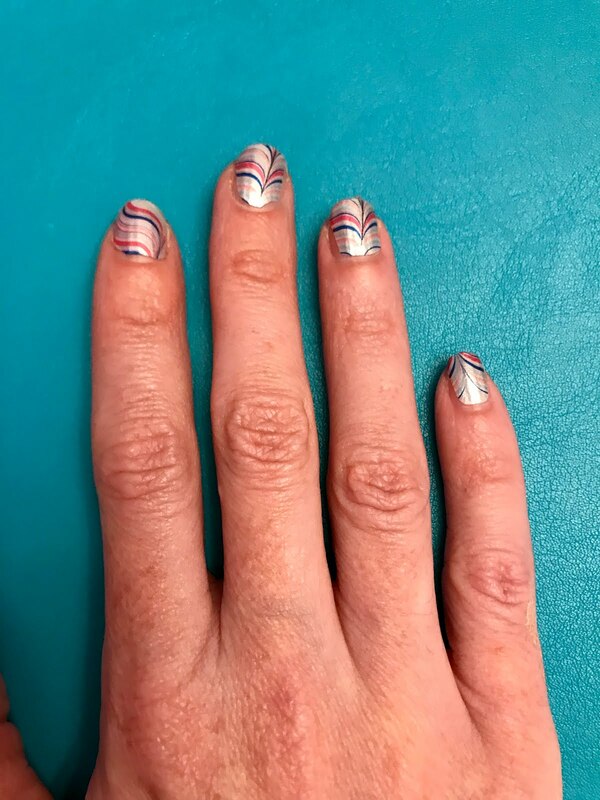 I've tried Jamberry and had no luck, they won't stay on my nails even with a "professional" putting them on. I've destroyed my nails a few times with too many shellac applications. So, I've come accustomed to feeling like a hot mess with no nail polish on until I was introduced to Color Street! I'm actually giddy that I found something that has stayed on my nails! Woot! Color Street was super easy to apply to my nails. Everything that you need for a perfect manicure is included in the package. All you have to do is push back your cuticles, and swipe your nails with a little alcohol to remove oils, and you're ready to apply the strips. Before you apply the strip make sure it fits your nail. You don't want the strip too big nor too small. Color Street is super forgiving when you use it. Even if you apply it crooked, you can pull it right back off and adjust it. There is no heat needed these are REAL nail polish strips! Also, there is no cutting necessary. I just applied the strip and folded if over the top of my nail and you can either file off the excess or use another fingernail to remove it. Super easy and quick. Before I used Color Street on my nails, I tried them on my 11-year-old daughter. Even though my daughter's hands are small Color Street fit her hands perfectly. Look how adorable her french manicure looks! She's had them on for 4 days now, and they look just as cute. Color Street lasts up to 2 weeks and is removed with nail polish remover. As I mentioned before I have trouble keeping nail polish on my nails. I also usually smudge my nails before they're dry. Color Street is seriously impressive. You will no longer have wet nail smudges or nail polish that looks terrible after one or two days. I'm so thankful! So you're probably wondering where you can get next manicure at a wonderful price, well Color Street has got you covered! 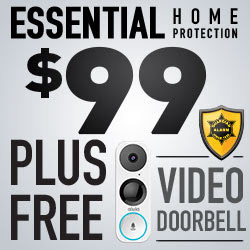 I love that they're 100% made in the USA. Well, of course, Mom Among Chaos is going to hook you up! Just head on over to Color Street! 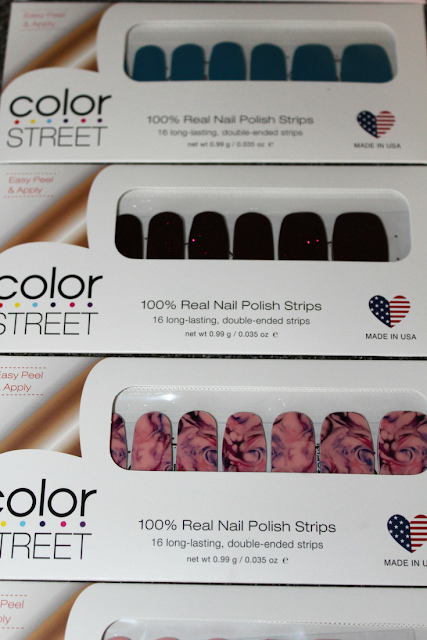 Currently, Color Street is available in solid colors, glitter, French, spring collection and nail art designs. There are so many to choose from! For more information on Color Street check out the below links. 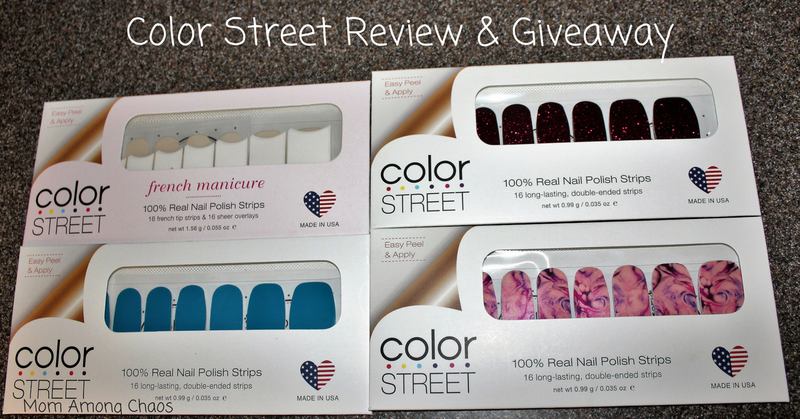 Mom Among Chaos is giving away a set of Color Street nail polish strips. It's a surprise which design you will receive!